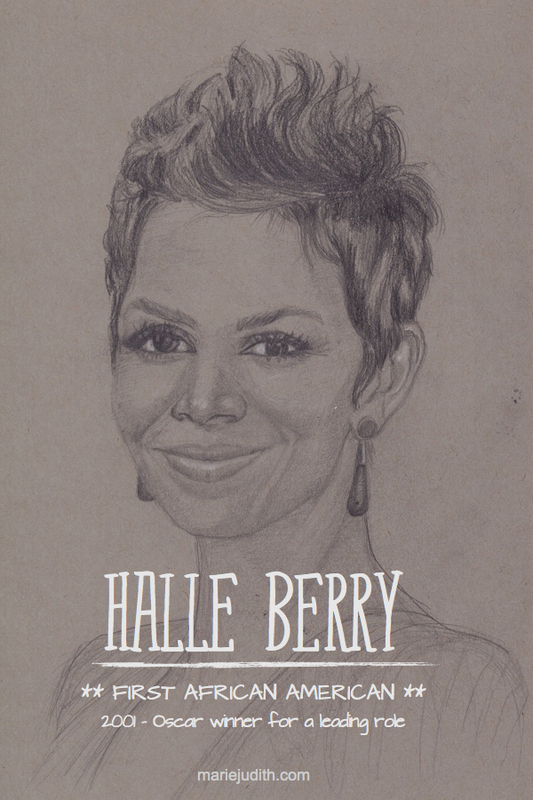 Halle Berry started out as a model before venturing into acting. She participated in several pageants and won the 1985 Miss Teen All American, and the 1986 Miss Ohio USA. She later went on to pursue her dream of working in the entertainment industry by moving to New York to become an actress. After a rough start where she was homeless for a short period of time, and collapse on the TV set while shooting a television series, she managed to get a small role on Spike Lee's Jungle Fever movie but it wasn't before she landed a leading role on Boomerang that she started to get some attention. She continued to work on various type of roles to establish herself as a professional actress. She's notorious for taking on role that doesn't always rely on her beauty. It took her 10 years and 16 movies before she was finally able to win an Oscar for her roll in Monsters Ball for best actress in 2001, and thereby becoming the first African American woman to win it.